Wing bone of Haast's Eagle. This extinct eagle was the largest in the world. It preyed on Moa. 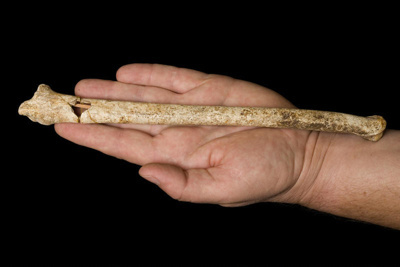 This bone was found near Oamaru, South Island, New Zealand. It is no more than a few thousand years old.